Sometimes while camping, I’m looking easy cooking. 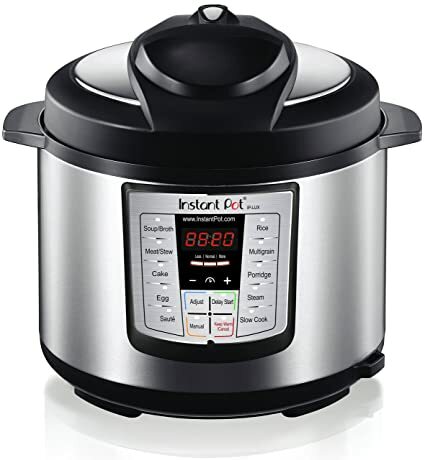 Has anyone ever used an instant pot? I new style pressure cooker… I think. We have two of the Instant Pots. I bought the 6 qt DUO on Amazon Prime day last July and the 8 qt Duo a month or so ago. So yes, you could say I’ve found them useful. They are an electric pressure cooker. I don’t use them for slow cooking, I don’t like most slow cooker meals; some like the feature, others not so much. There’s a huge Facebook group. Most of our camping is dry camping, so I doubt we’ll take one of the IPs often. However, one of our trips with power should be in prime fresh corn season, near Durango, so even higher than at home in ABQ. We cooked corn on the cob in the IP last year and it was great. I haven’t used one yet, but I’ve been looking into getting one. I have a few friend who have them and swear by them. For instance, it takes me almost 3 hours to make posole (sort of pork stew with hominy/nixtamel) with the Instant Pot – that’s still a great improvement over 5-6 hours, and with less pot watching.